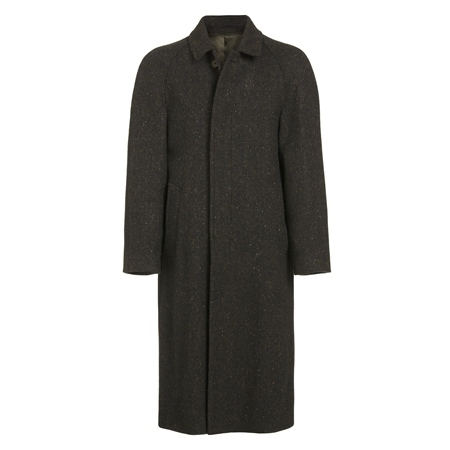 A classic Donegal tweed overcoat with raglan sleeves. The brown herringbone Donegal tweed is flecked with hints of colour and was designed and woven in our mill in Donegal Ireland. I placed the order, mistaking the product description ''internal quitting for ''quitted lining'', a feature of the other two Magee Corrib overcoats bought in the last ten months. 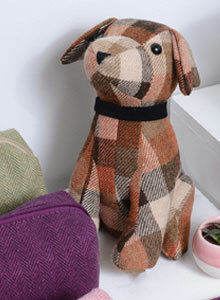 It is also darker than a shade I was rather fond of but was no longer available, hence the missing star. It does, however, fits very well and looks fine.